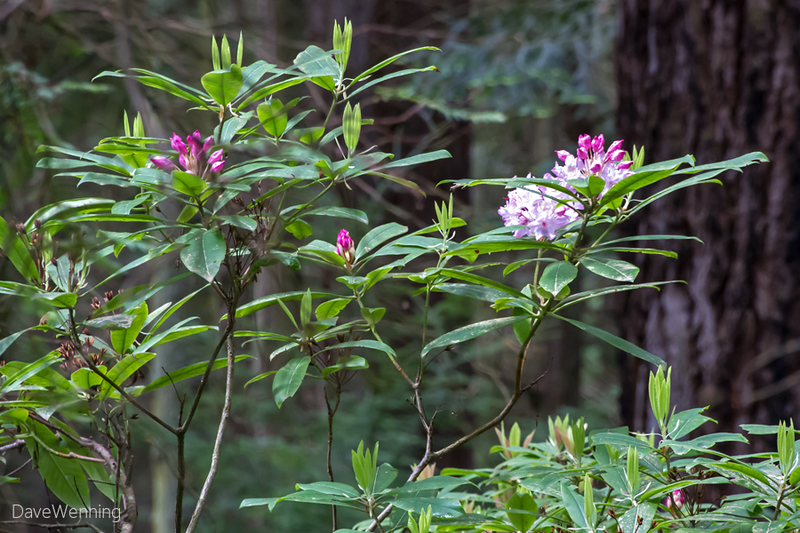 Today was my scheduled return to Deception Pass State Park to check on the blooming Pacific Rhododendrons (R. macrophyllum). I was accompanied once again by Jerry who first joined us on April 27th. 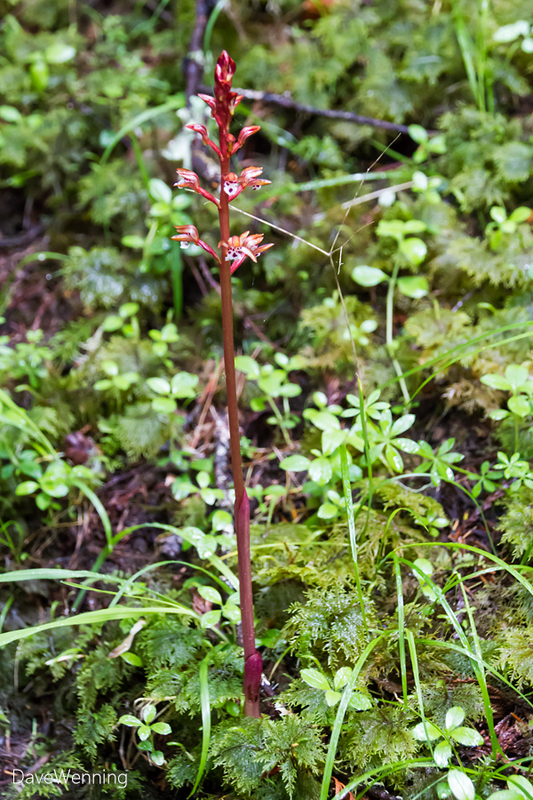 I have been tickled how this former Texan has come to enjoy hiking in the Pacific Northwest woods. 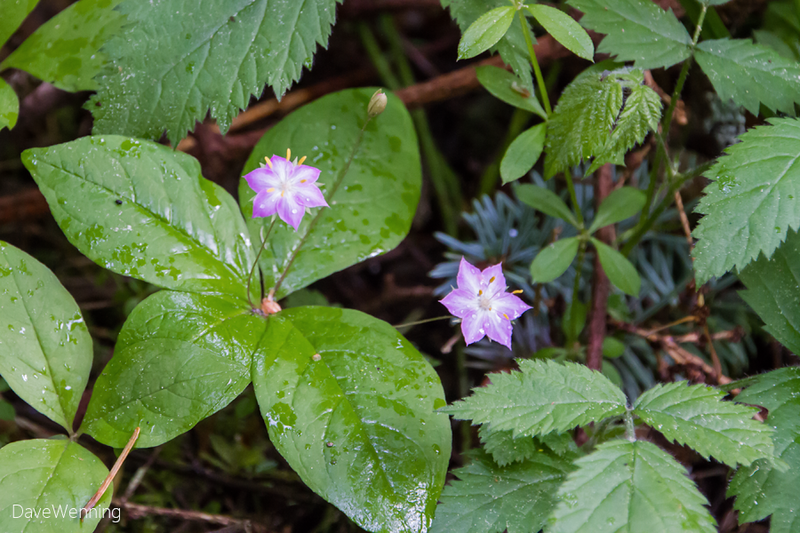 As we made the turn onto the Discovery Trail we were greeted by Western Starflower (Trientalis latifolia). 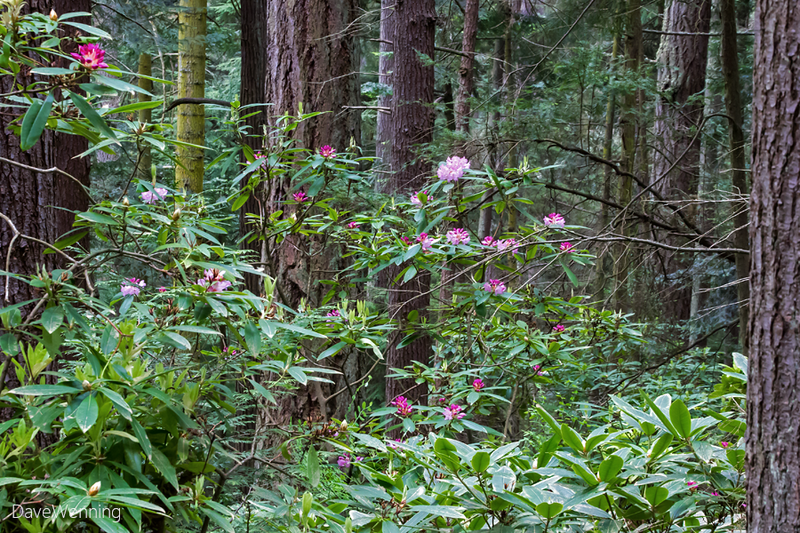 After we finished viewing the rhododendrons, we took a different route back to the North Beach parking lot. Instead of continuing up and over the Goose Rock summit, we decided to pick up the southern end of the Discovery Trail for our return. On the way, we took a short side trip to the Cornet Bay Retreat Center which is a major facility at Deception Pass State Park. It is also referred to as the Environmental Learning Center. 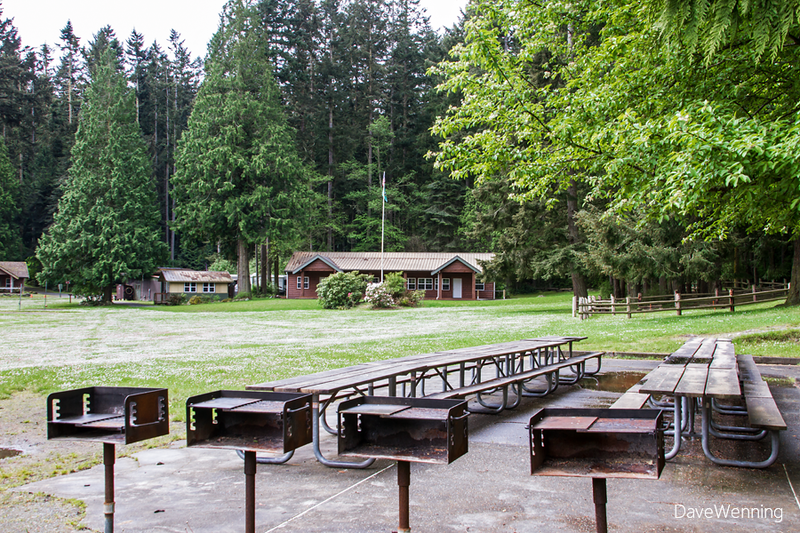 There are guest cabins, a large meeting hall and a kitchen and dining hall that will accommodate up to 181 guests. While we were there, we met and chatted with the seasonal caretakers that live on the premises. 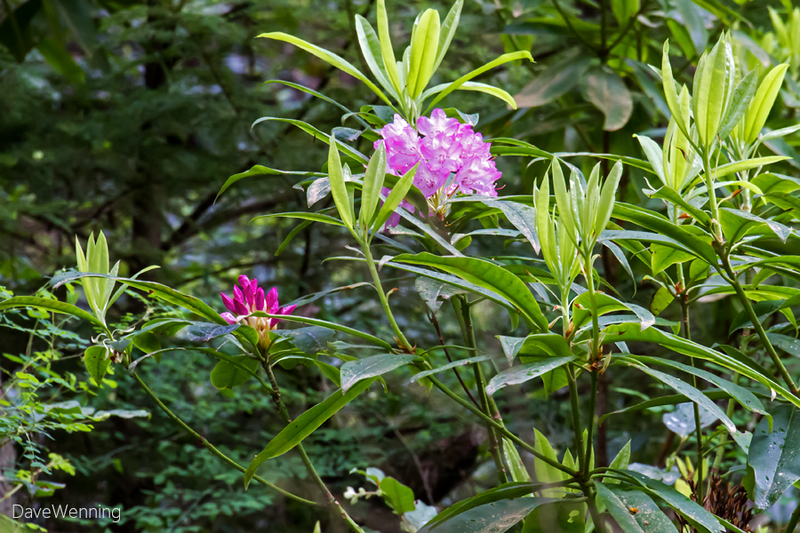 Note that the Center is off-limits to hikers when there are guests in residence. These are not the caretakers, but they seem to be year-around guests of the Retreat Center. They enjoy grazing the lawns of the campus adjacent to Cornet Bay. 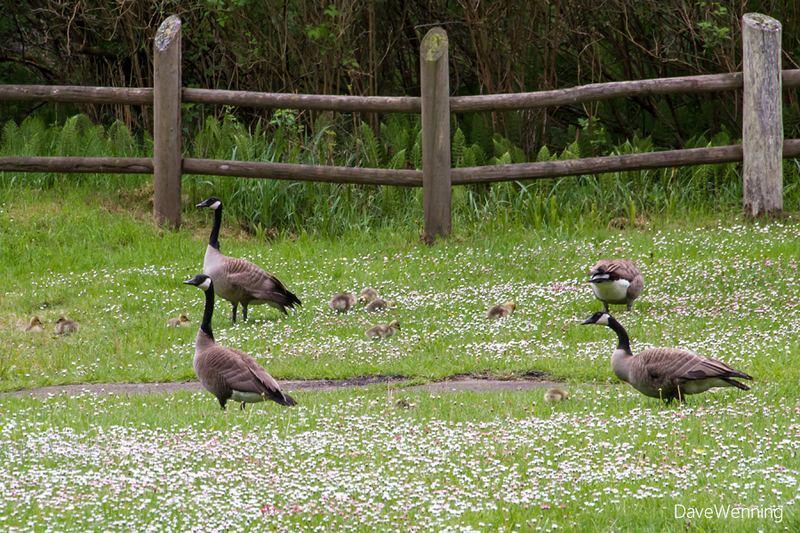 Canada Geese (Branta canadensis) enjoy a love/hate relationship with the park. These graceful and majestic birds can become a nuisance when their numbers get too large. For the moment, we can enjoy their bucolic family outings. 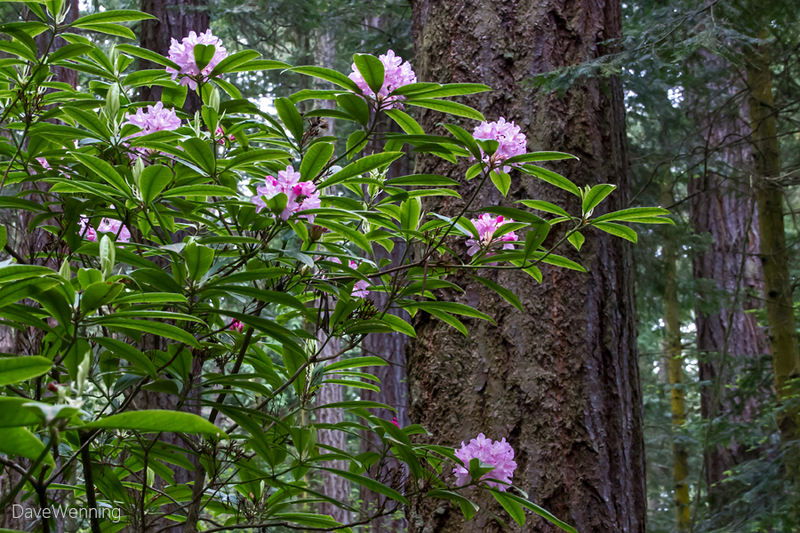 My next journey into the Deception Pass rhododendron grove will be Saturday, May 10th, 2014. 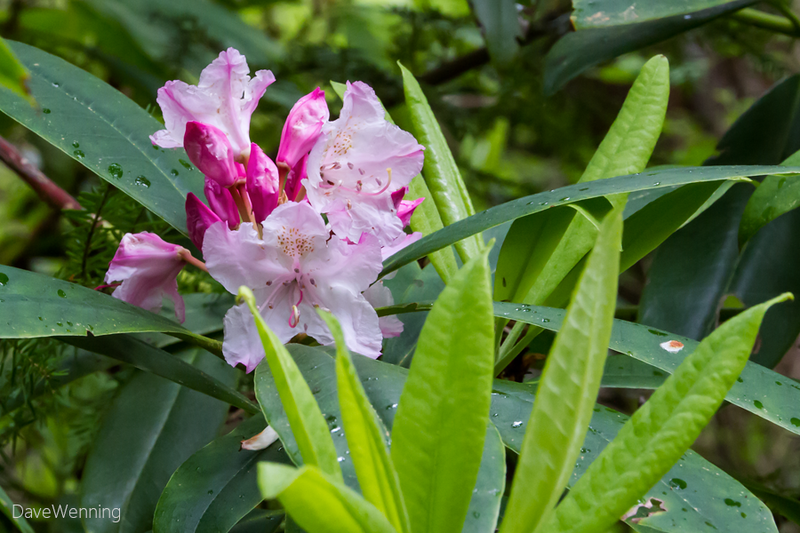 The rhodies should be in their prime bloom by then. If you want to come along, we'll meet in the North Beach parking lot at 08:30 AM. We want to get started early to avoid the weekend crowds. Again, use the main park entrance on Whidbey Island. After passing the entrance gate, veer right at the Y following the signs to North Beach. The road ends at the parking lot. Bring your Discover Pass, or pick up a day pass at the gate.